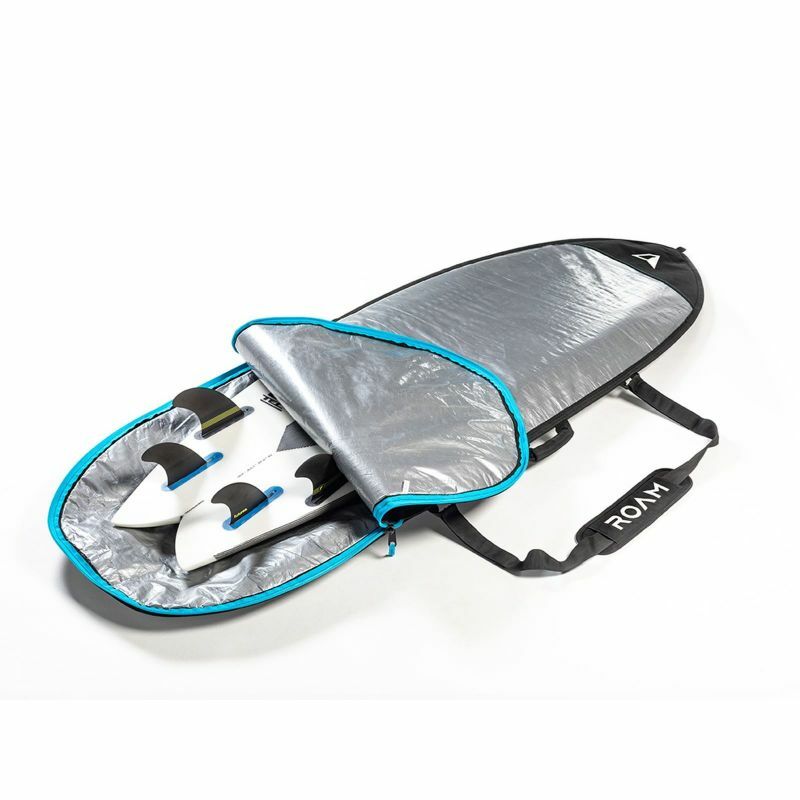 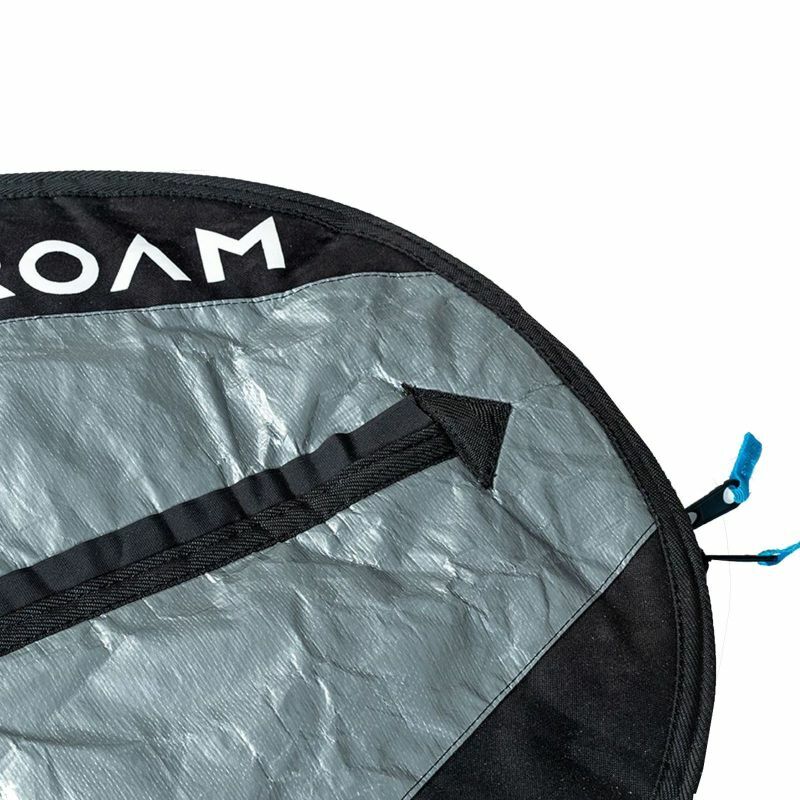 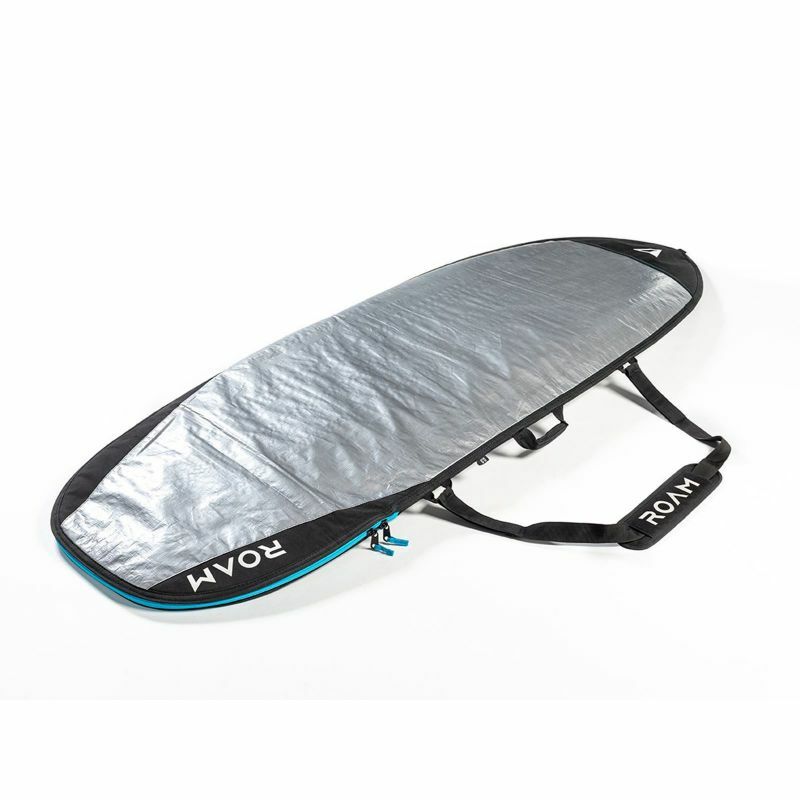 Day Light Boardbag for a surfboard. 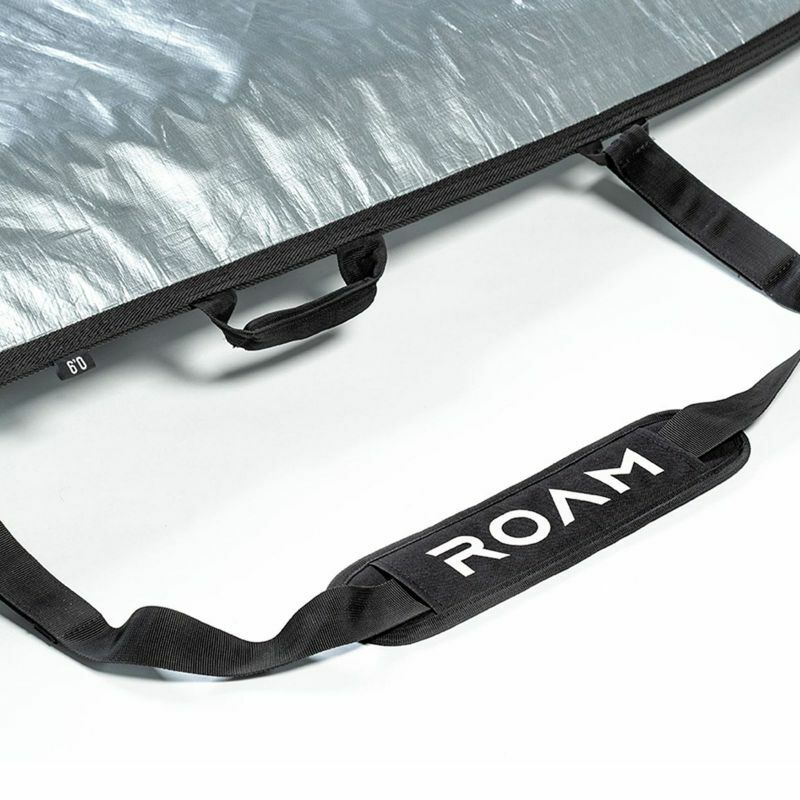 5mm padded with Silver Reflective Shield Polytarp Shell. 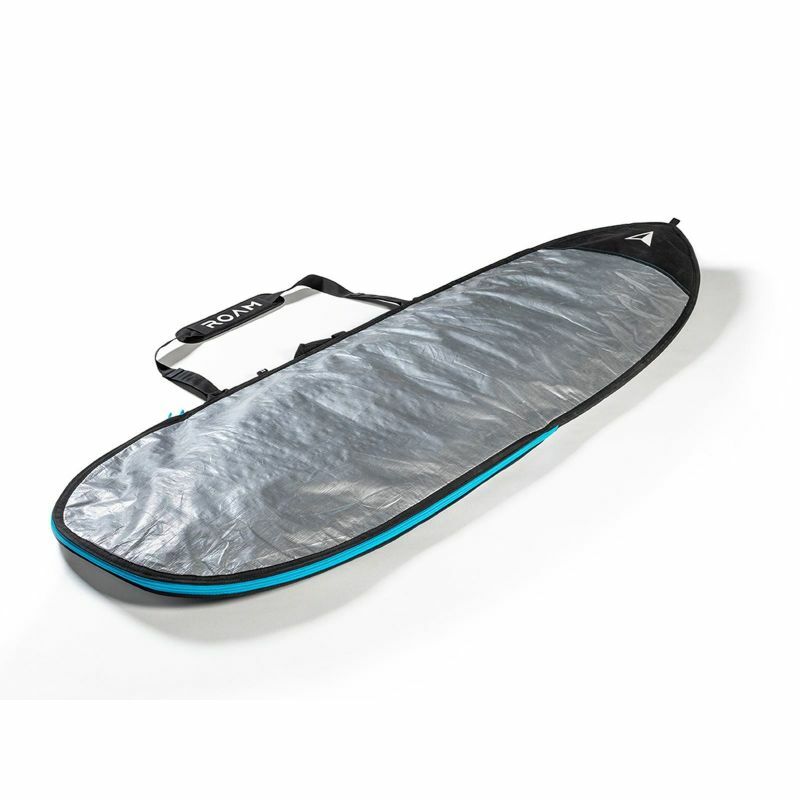 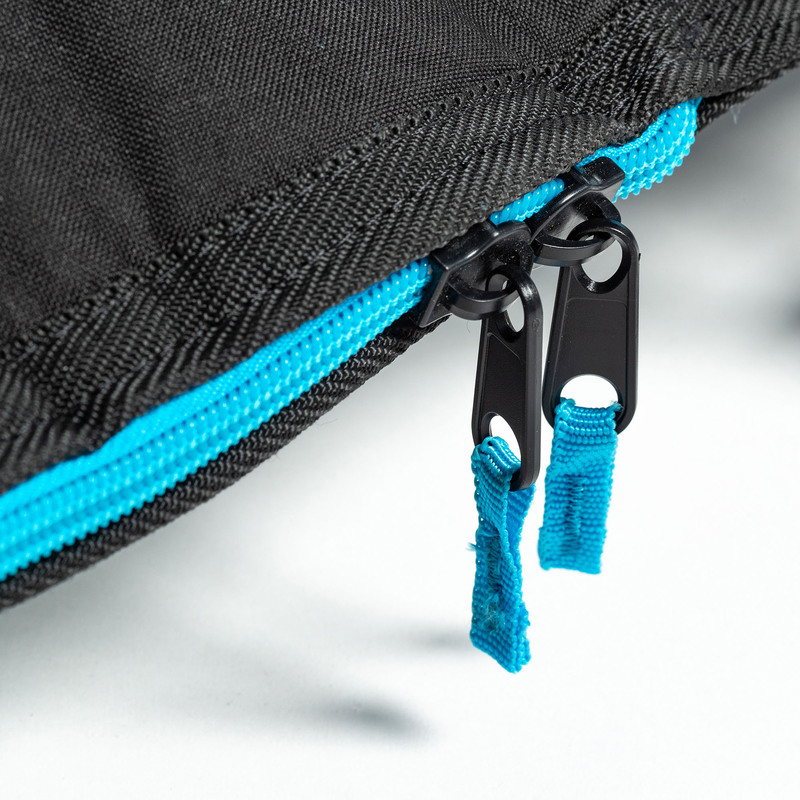 Whether for traveling by car, train, beach cruiser, on foot or hitchhiking, this day bag protects your boards from everydays annoying little dents and scratches, and your cars is protected from wax and sand.